This past Sunday, Jilly brought up a “blunder” with her recent contest entry. She’s writing a romance, but the relationship between her H&H is a slow burn. However, she got dinged by a few of the judges because there was little evidence of romance in her story (at least the first 50 or so pages) and none in her synopsis, yet this was a contest for romance writers. Welcome to the fifth installment of Fiction Fundamentals. In this issue…Setting. 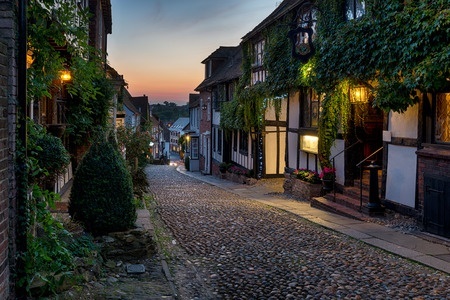 How would you describe this street? What are you writing? Who is your character? That and more will affect your description. Setting serves an important purpose to ground the reader. It’s hard to get into a story when you don’t know where the character is or at what point in time the story takes place. Margie Lawson maintains that within the first paragraph or two of every chapter or scene, you need to inform the reader of setting. Sometimes this isn’t necessary. If you start off each chapter with the location and year (for example, “London, March 1815”), then we have a pretty good idea of the where and when. This week I’m taking a break from the Fiction Fundamentals posts to talk about moms and books. May 8th was Mother’s Day in the US and 84 other countries. Almost every country in the world celebrates Mother’s Day; however, not all on the same day. Mother’s Day was first celebrated in 1908 by West Virginian Anna Jarvis, in memory of her mother, who had died a year earlier. Although Jarvis pushed for a national holiday, it was until 1914 that US President Woodrow Wilson declared the second Sunday in May as Mother’s Day. Welcome to Part 3 of Fiction Fundamentals. In Part 1, I discussed character goals. In Part 2, I covered a character’s Motivation…the “why” of what they want to do in your story. Last time, in the first of a two-parter, I talked about the Big Enchilada that ties it all together and makes for a good read: Conflict. The conflict in each scene doesn’t have to be directly related to the protag or antag’s stated goal. Welcome to Part 3 of Fiction Fundamentals. In Part 1, I discussed character goals. Last time, in Part 2, I covered a character’s Motivation…the “why” of what they want to do in your story. This installment (the first of two) is about the Big Enchilada that ties it all together and makes for a good read: Conflict. Conflict is necessary in commercial fiction. Period. No conflict? No story. People don’t want to read about characters who get what they want with no issues or impediments. They want to see characters suffer and earn their rewards. Conflict is a struggle to reach a goal and should have the reader wondering whether or not the character will achieve it. Conflict must be clear, but not overwhelming. It can be too big/too much, drowning your reader in seemingly insurmountable problems. 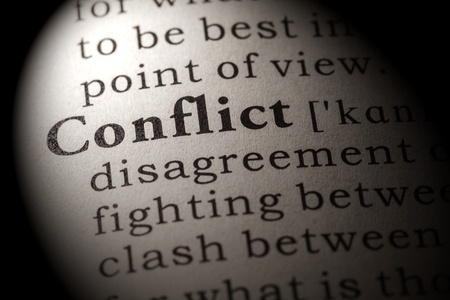 Conflict doesn’t necessarily have to be one person pitted against another. Sometimes the conflict is circumstances.